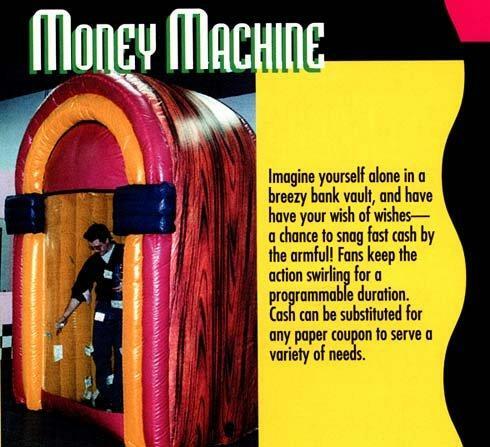 Imagine yourself alone in a breezy bank vault, and have your wish of wishes - a chance to snag fast cash by the armful! Fans keep the action swirling for a programmable duration. Cash can be substituted for any paper coupon to serve a variety of needs.